Create your perfect day in your own design, every single day! All for just £11 (less then $15). 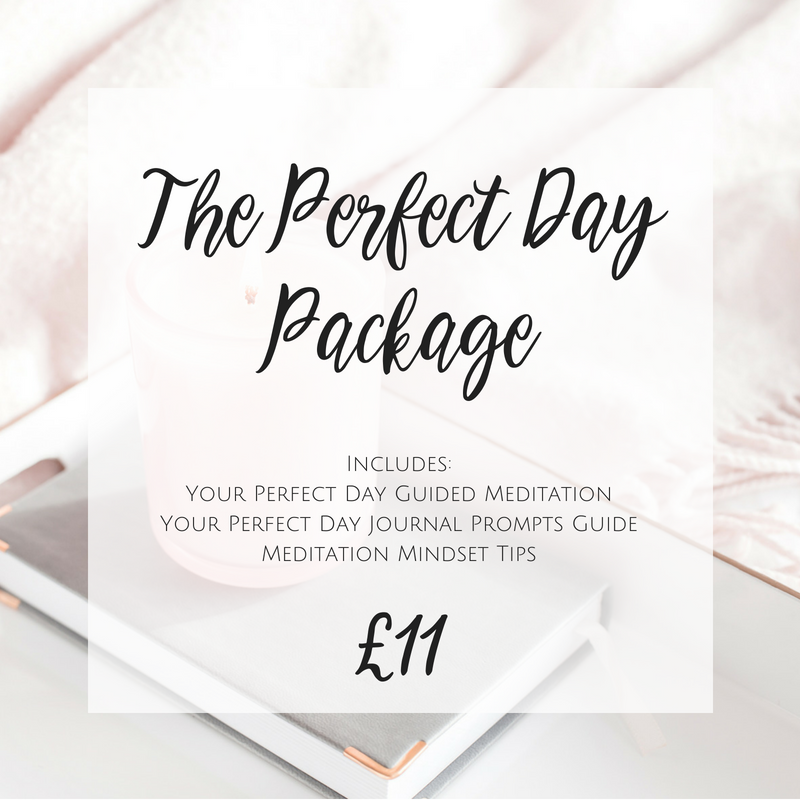 – My 15 minutes guided meditation to achieving the perfect day. In these 15 minutes I walk you through the six phases of a perfect day, pulling you into alignment with every element, and giving you the power and connection to call in and manifest your hearts desires. – My 6 phase journal prompts guide which you can use before or after the meditation (or even on its own). I’ve found journalling to be one of the most powerful ways to create a life of my own design but often we don’t know where to start, so here’s 6 pages of journal prompts to get you exploring, clearing, and realigning your energy. – My mindset meditation tips because meditation really isn’t as difficult or as tedious as many would have us believe! For me meditation is all about creating a portal to connect. Just five precious minutes inside a mad world. These tips will help you make the most of your five minutes a day.